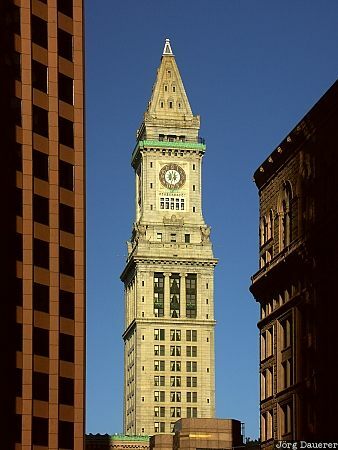 Soft evening light illuminates the Custom House Tower in downtown Boston in front of a blue sky. Boston is in the east of Massachusetts on the east coast of the United States. This photo was taken in the evening of a sunny day in August of 2004. This photo was taken with a digital camera.